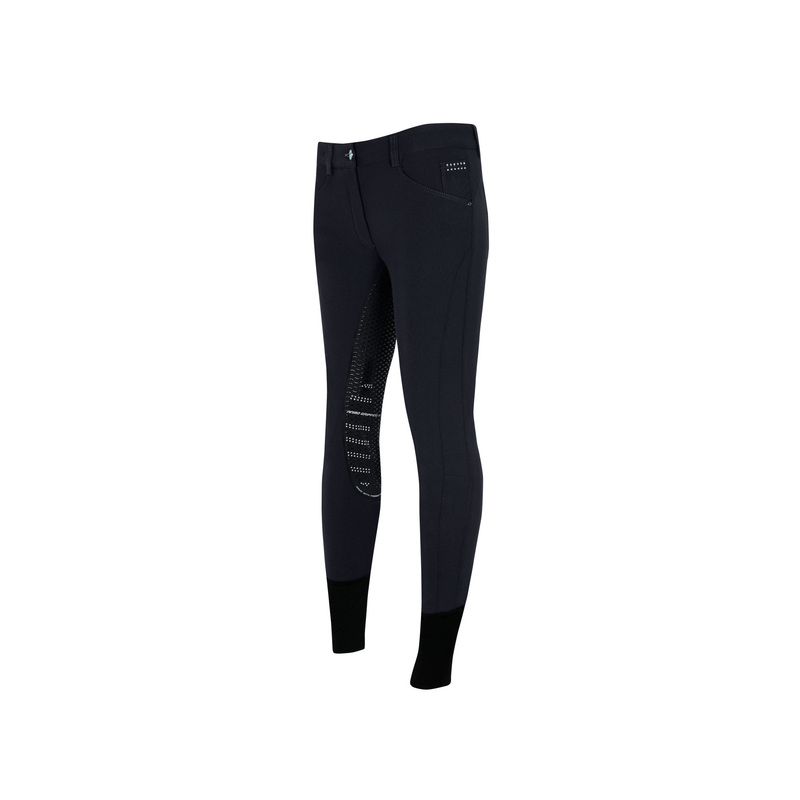 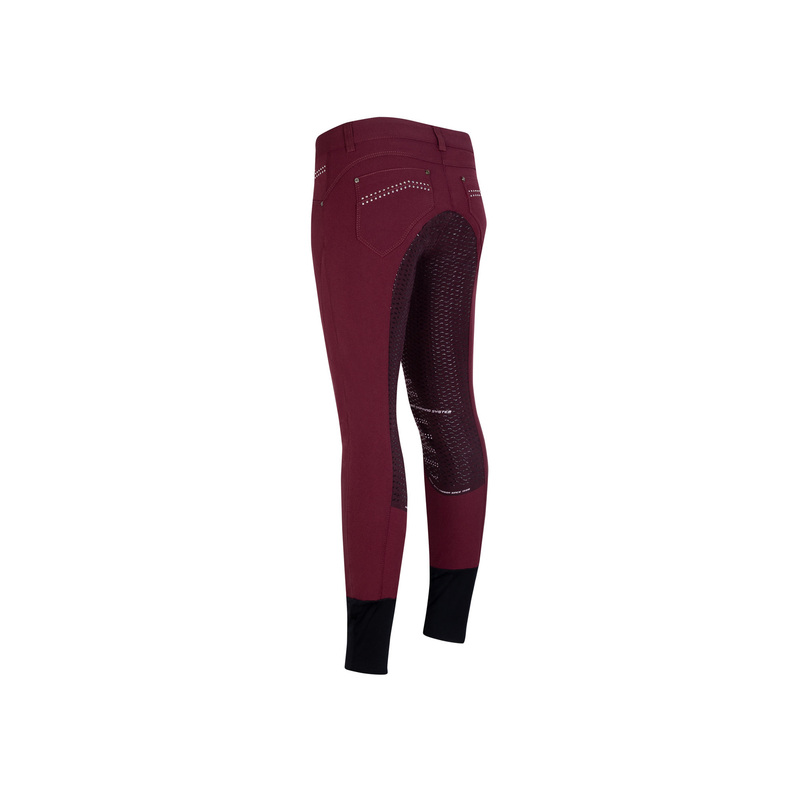 Exceptionally impressive women's breeches with full silicone grip from the latest Animo collection. They are made of the highest quality elastic fabric that is breathable and comfortable, not restricting movements. Their legs have lycra that provides perfect fit. 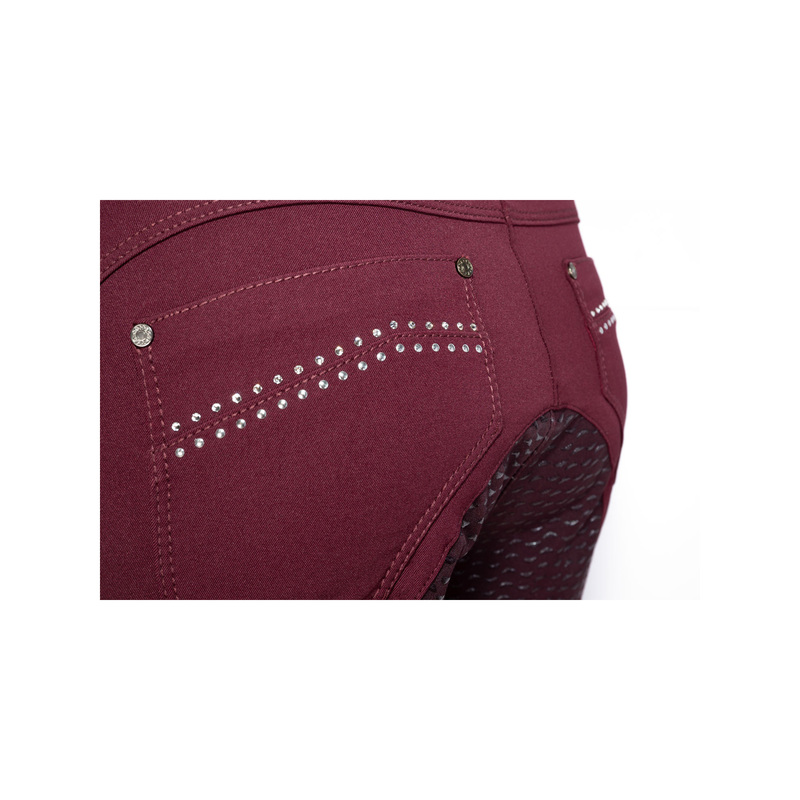 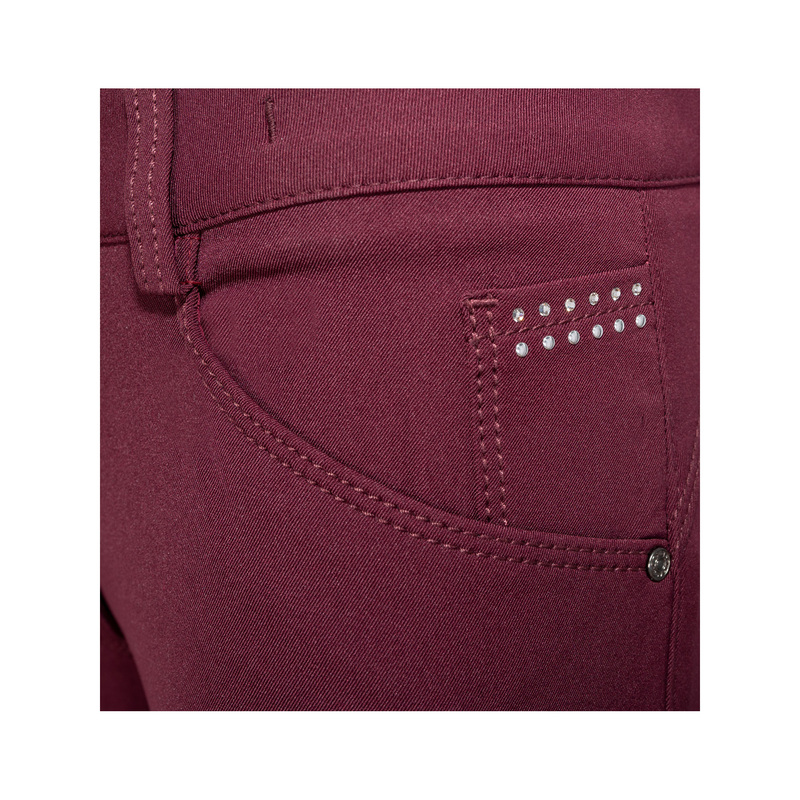 These breeches are decorated with crystals by the pockets.